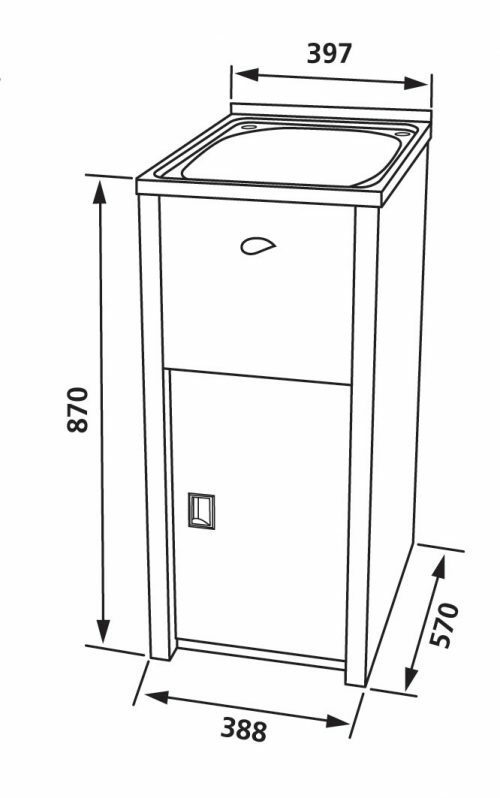 If you’re looking for a low maintenance and straightforward laundry unit, then the NuGleam™ Trim Laundry Cabinet & Sink is exactly what you need. It is manufactured by Everhard Industries and provides a simple and practical approach to cleaning. It is elegantly designed and is available in a classic white finish. 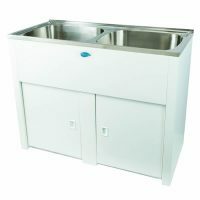 The NuGleam™ Trim Laundry Cabinet & Sink features a large 30 litre square stainless steel sink and measures 397x570x870mm in dimensions. It is certainly more than capable of handling all your laundry cleaning duties. 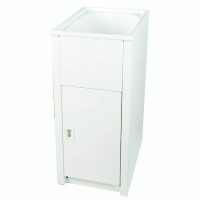 The cabinet is made out of quality white polymer, which makes it scratch resistant and eliminates maintenance. 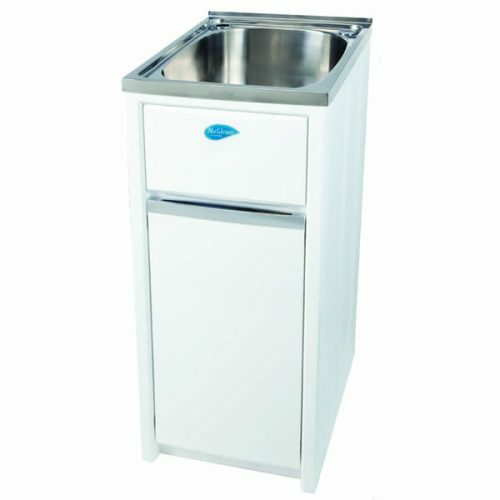 Equipped with a single bypass assembly, the NuGleam™ Trim Laundry Cabinet & Sink also includes a waste basket which meets the Watermark Australian standards. 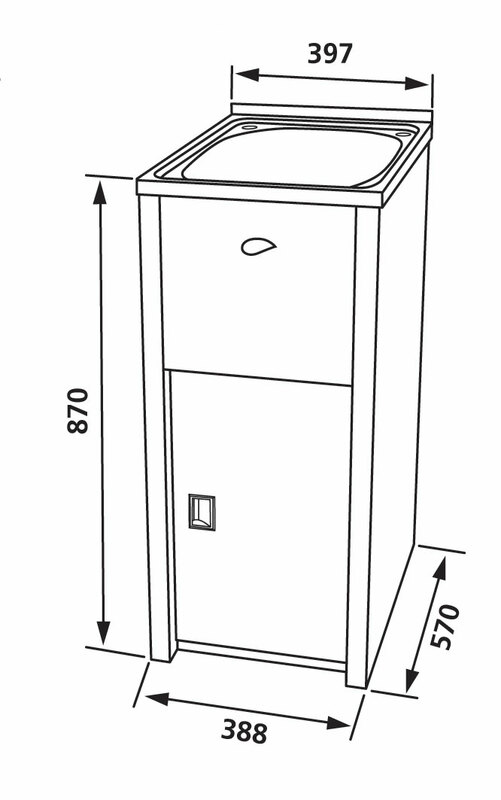 Everhard is well known for manufacturing really high quality products and this is reflected in the NuGleam™ Trim Laundry Cabinet & Sink as well. 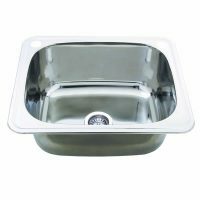 This product is covered by manufacturer’s warranties of 25 years on the stainless steel bowl and the polymer cabinet, and 1 year on rods, hinges, wastes and plugs. Rest assured, this is a high performance product that will easily last many years, even with substantial usage. Add a touch of class to your laundry with this stylish laundry cabinet/sink combo. Grab hold of this product and get it installed in your home today!